1. There are millions of us – literally. According to Government data, more than 3.6m disabled adults attended at least one live music event last year. 2. Some of the most significant barriers to even bigger disabled audiences enjoying festivals or gigs are online. You know how it is when the WeGotTickets email lands in your inbox and – ding – your favourite band has announced a new tour. Hurrah! After marvelling at the connective power of technology, you then have to start making plans. Tickets go on sale tomorrow, at 9am sharp. You really don’t want to miss this band, and you’re determined to be first in the digital queue. The gig might be 50 miles away, a train ride from your home town, but you’re absolutely determined to make it. You head to the venue website. Only, there appears to be a problem. Some crucial information is lacking. For a start, there’s no details about how many tickets you can buy. There’s no address details either – or a start time or finish time. And, annoyingly, there’s no contact number to call anybody. Suddenly, going to this gig looks a bit of a risk. Will you be able to go with your friends? Will you get in? Will it be possible to get home afterwards? For many deaf and disabled fans, this is the experience they face *every time* they think about attending a gig. Although facilities at many gigs and festivals have improved over recent years, a lack of access information online is becoming an increasing problem. Many are missing out on potential customers. But even if a venue is completely inaccessible, it would still be useful for disabled fans to have this guidance in advance so they can make appropriate plans. Added to this, it is important to recognise that there is a wide spectrum of disabilities. Only a minority of the disabled population are wheelchair-users – so even if a venue might be difficult for a chair to navigate, it might still be totally accessible for other fans. We realise this can seem complicated. So, to bring these points home, Attitude is Everything launched a new campaign late last year in partnership with the Association of Independent Festivals (AIF) called Access Starts Online. 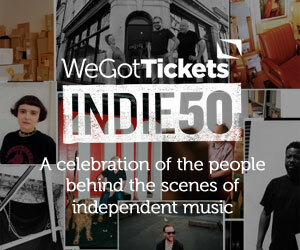 The campaign’s goal was simple: to encourage all 50 festivals represented by AIF, which include some of the UK’s most exciting live music events, to provide designated and detailed access information pages on their websites. So far, we have seen an incredible response and 9 AIF events have already signed up – including the likes of Bestival, Kendal Calling and Cornbury. We realise that this is a first step and we still want ALL venues and festivals to sign our Charter of Best Practice, but it’s a vital step nonetheless. We don’t intend to stop with independent festivals either. Through Attitude is Everything’s partnership with Independent Venue Week, Access Starts Online has now been rolled out to small halls and clubs around the UK. Such venues are the heartbeat of our music scene and to musical communities up and down the UK – so we think it especially important that they can be as inclusive as possible. What a loss it would be if the next Robert Wyatt, Ian Dury or Blaine Harrison slipped through the net! So, if you’re reading as a fan, and you see that your local venue doesn’t have online access information, then please speak to them about it. Or, even better, ask them to get in contact with us. If you run or work at a venue, or are a promoter booking shows in to a number of venues, have a look at your access information and drop us a line if you want to work on improving it. Improved access doesn’t end online, of course; but in the digital age, that’s definitely where it starts. Written by Suzanne Bull MBE, CEO Attitude is Everything.